The first state fair was held in October 1856, nine years after pioneers settled the Salt Lake Valley. The fairgrounds struggled for years to find the right location before settling in Fairpark. Locals used the grounds to display products from their shops, fields, and homes. That enthusiasm is still apparent in the historically rich community today. Home to 2,800 households, the neighborhood around the state fairgrounds places carnivals and festivities in your backyard. 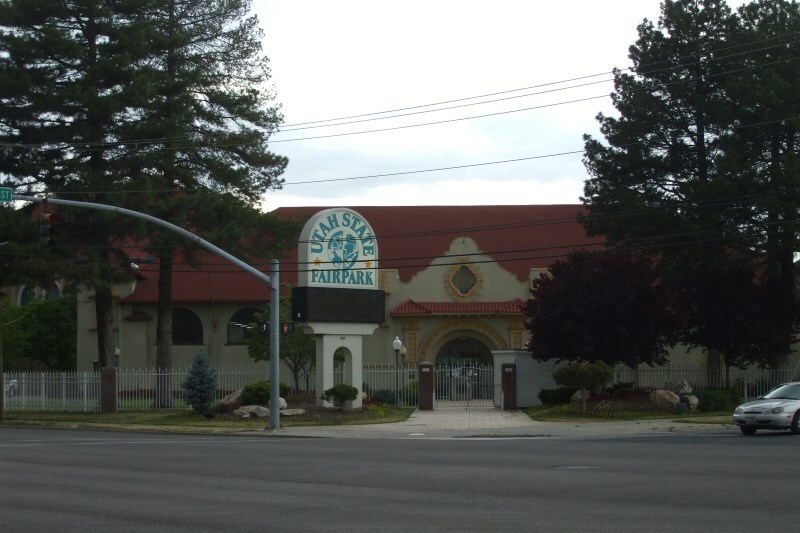 Located in the western portion of Salt Lake City, Fairpark is one of the smaller neighborhoods in the area, often mistaken for its northern neighbor, Rose Park. It’s bordered by North Temple, a vein that courses through the heart of the city. There is an eclectic mix of townhomes, condos, and charming family bungalows in Fairpark. According to the Zillow Rent Index, the average cost to rent in Fairpark is $1,188, while the median cost to rent in Salt Lake City is significantly higher at $1,400; however, homeowners are more common than renters, limiting the availability of rentals. On the plus side, it’s a good time to buy. The average cost to buy a home in Fairpark is $147,000, which is much lower than the average $243,000 Salt Lake City home, according to the Zillow Home Index. Whether you choose to drive, walk, take the bus, or bike, your commute is reasonable since Fairpark is two miles from downtown. There is only one bus route that runs through Fairpark, but it runs around every 15 minutes and can drop you downtown in nine minutes before connecting to the entire TRAX system, including the FrontRunner and S Line streetcar. The Green Line of UTA’s TRAX system is located above the fairgrounds in Fairpark. It’s less than a five-minute drive into high-end shopping, restaurants, and a robust nightlife with entertainment downtown. While it’s only two miles to downtown, many opt for faster forms of transportation, like biking or the TRAX, especially if venturing into east Salt Lake to catch a Utes game. Move.org rated Fairpark among The Top 8 SLC Neighborhoods for Bike Commuters because of the convenient bike lane on North Temple that feeds into downtown. Fairpark celebrates Utah every fall after Labor Day when the State Fair comes to life, offering 11 days of activities for the family. The fair has hosted renowned musicians such as Love and Theft, Plain White T’s, and Amy Grant. Get down and dirty during the demolition derby, see strongmen sweat in the truck pull, and witness cowboys lose their hats in the rodeo. The entertainment doesn’t end with the Fair. Throughout the year, the grounds are home to various events, including super pet adoptions, the Utah Beer Festival, and the Vans Warped Tour. While city life springs to mind when envisioning Salt Lake, Fairpark’s local Community Garden paints a different picture with green thumbs of all ages involved in the cultivation of local produce. Fairpark Community Garden has partnered with the Wasatch Community Gardens Youth Program, providing kids with opportunities to grow produce and serve the community by donating a large portion of food to local pantries. While Fairpark doesn’t offer many dining options, it’s home to one of Salt Lake City’s most iconic restaurants. Family-run Red Iguana is known for the best authentic Mexican food in the state. Don’t let the long lines fool you—the restaurant staff balances quality with efficiency, so a 45-minute wait time often turns into 20. It boasts two locations a couple of blocks apart to accommodate the overflow of hungry patrons. Garnering both regional and national praise, it’s been covered by the New York Times and featured on the Food Network’s Diners, Drive-ins, and Dives. Red Iguana serves creative interpretations of classic dishes from Mexico and the Southwestern U.S. Cinnamon is a surprising flavor infused into many dishes at this restaurant, which has withstood the test of time for 50 years. A live Mariachi band serenades tables during dinner hours, adding to its charm. There are no notable or highly ranked schools in Fairpark as it’s a small community, so those looking for stellar school ratings may need to move elsewhere or look into alternatives to public school. The area is part of the larger Salt Lake School District. There are two elementary schools within Fairpark, while the assigned middle and high schools are located outside of the neighborhood boundaries. While Fairpark is known for a good time, there’s one thing you should keep in mind: it has a reputation for crime. According to areavibes, there is a one-in-nine chance of being the victim of a property crime as a resident of the area. Take the proper precautions to protect yourself, such as locking your car and home. Consider doing additional research by reaching out to local police or contacting the Fairpark Community Council about your concerns. In spite of the crime rate, if convenience, fun, and proximity to downtown fit your needs, then culturally and historically rich Fairpark is just the place to begin your search for a new home. The Utah State Fair Celebrates 161 years in 2016, so come play in the neighborhood and stay for a while. I need advise about where to rent a 2 bedroom apartment. The Sugar house area looks appealing but don’t know enough yet. I am a single man in my 70’s and moving to SLC after living in Provo for less than a year. I don’t know anything about SLC but I am excited by what I am learning. I am a working professional, I dance, sing, mediate, travel, a long time practitioner and teacher of Hindu spirituality and enjoy an active and humorous life. Any suggestions of where I might find an apartment are very and appreciatively welcomed. I’d recommend either the Holladay or Cottonwood area. Both have easy access to the mountains, breathtaking views of nature, and some of the best places to hike and meditate are nearby up Cottonwood Canyon. buses, and bike lanes. You would also be within 15 minutes of the Salt Lake City International Airport. I hope you do make your way up here from Provo.